There’s a reason why pawn shops are widely known for their jewelry and guns. When you’re looking for top of the line items of value at bargain prices, there’s just no better place to start your search. So if you’re on the fence about buying jewelry from a pawn shop for Valentine’s Day or other special occasion, here are three good reasons you’ll want to choose the pawn shop experience. You can also use these tips the next time you’re thinking about buying jewelry for an engagement, marriage, or birthday too. Buying jewelry is not an everyday experience. Many people purchase jewelry only during significant milestones like a proposal, marriage, anniversary, birthday, graduation, etc… or holiday such as Valentine’s Day, Mother’s Day or Christmas. But just because you’re celebrating a big moment doesn’t mean you have to break the bank at jewelry stores. At pawn shops, you can usually find the same quality white, yellow, or rose gold pieces for both men and women for a fraction of what they cost at jewelry retail stores. Pawn shops usually always carry fine jewelry to include diamond and precious stone engagement rings, wedding bands, bracelets, and gold and white gold necklaces and watches to name a few. Some people may not want to buy from pawn shops because of misconceptions surrounding their reputation. However, after doing some research, you may be surprised to find that the way pawn shops do business now has evolved from the reputations they were once known to have many years ago. When buy pawn shop jewelry today, you can shop with confidence knowing that pawn shops perform jewelry evaluations and inspections on each piece to determine the authenticity and true value of all pieces they buy, sell, or accept for pawn. Many pawn shops also offer free jewelry inspections upon request as well as offer product protection plans for up to 12 months of worry-free protection on items you purchase and free jewelry cleaning and gift-wrapping services. Get more value for your dollar. Since the average retail jewelry store marks its jewelry up an average of 100% to 400%, sometimes even as high as 1000%, you are sure to get more value for your dollar when you purchase the same or similar jewelry pieces at a pawn shop. As stated earlier, jewelry is not your everyday purchase, so the overhead or cost of doing business is extremely high for businesses that specialize in selling only jewelry in a retail market as opposed to a pawnshop (who deals with a variety of different markets) that sells on a wholesale level. So what's the difference between a retail and wholesale market? Essentially, retailers buy their inventory from wholesalers in bulk and raise or "markup" the price to make a profit. 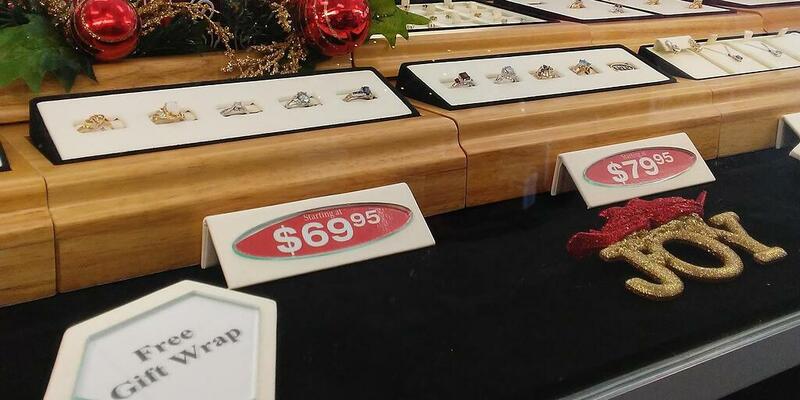 Because pawnshops sell at wholesale prices, some jewelry stores even buy diamonds from pawnshops. Plus the markup price at some pawn shops is negotiable, which is another way you’re sure to get more bang for your buck. So, to answer your question should you buy jewelry from a pawn shop? It’s a no brainer. Not only do you save money and get the same quality, but you can also shop with confidence and get a complete jewelry buying experience perfect for almost any occasion.